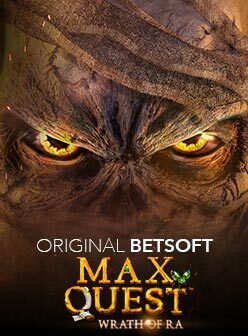 Betsoft taps Chinese myth, bringing guardians of the ancient Chinese seas to life in the 5-reel and 10 fixed paylines slot featuring not one but four-tiered progressive jackpots! The slot has a traditional look and feel with five red reels, the colour of which symbolises good luck and happiness. To the back of the reels you'll see crashing waves against tall jagged rocks and if you look closely in the distance you'll see traditional Chinese architecture illuminated by red skies. The upper-value symbols are common to Chinese-themed slots: a koi, jade figurine and lucky gold coin with four lower-value symbols represented by the common if less than inspiring royal flush poker symbols. As is much less common with Chinese-themed slots, the music is contemporary as opposed to traditional Chinese. The Azure Dragon acts as a wild that awards an extra re-spin while all dragons on the screen are frozen in place. The Black Dragon is an x3 multiplier wild. The White Dragon wild duplicates a second wild to the left or right of its position. Finally, the Red Dragon wild rewards you with a cash prize of up to 400x your line bet. Dragon King, appearing on the 3rd reel, acts as an x2 multiplier wild that expands to cover an entire reel. It has the power to trigger a jackpot. 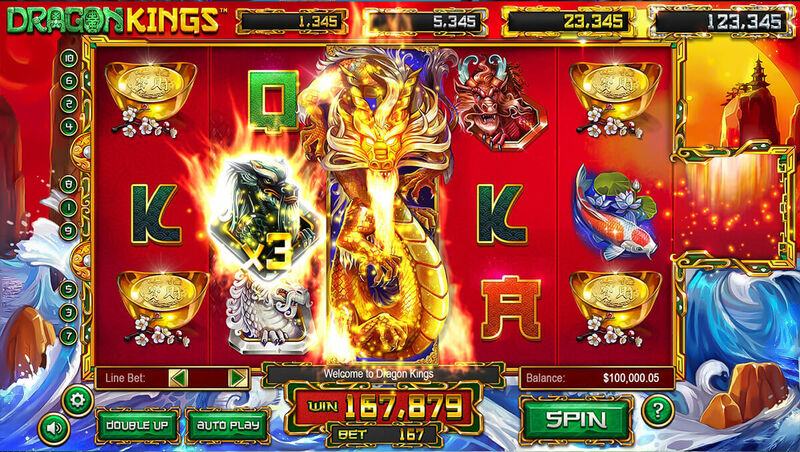 While this is a 5-reel slot, there is in fact a 6th reel where a magical dragon pearl may appear which can help to unlock jackpots with the Dragon King and 1+ dragons. The odds of triggering a jackpot increase as you increase your bet size. You can unlock a bronze, silver, gold or diamond jackpot. The bronze is unlocked with a Dragon King +1 dragon and magical pearl. The silver is unlocked with a Dragon King +2 dragons and magical pearl. The gold jackpot is unlocked with a Dragon King +3 dragons and magical pearl and the diamond jackpot is unlocked with a Dragon King + all 4 dragons and magical pearl. We mentioned that the pearl can appear on the 6th reel but it can also appear on the 1st to 5th reels and when it does in sets of 3, 4 or 5 then you unlock 6, 10 or 15 free spins respectively. The pearl appearing on the 6th reel during the free spins, doubles the number of free spins. Triggering the free spins is not always easy so the game offers an optional Buy feature which is an automatic entry into the free spins but it will come at a cost that is displayed in the bottom-right window above the "BUY" button. Finally, the game includes a Double Up feature where you are invited to call the results of a coin spin for heads or tails, for the chance to double your winnings. 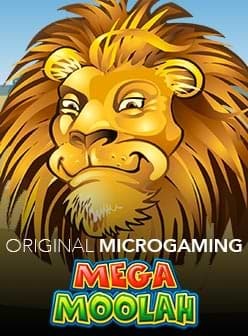 Dragon Kings slot has an RTP of 95.53% and can be played with bets of as little as €0.10 to as much as €6. 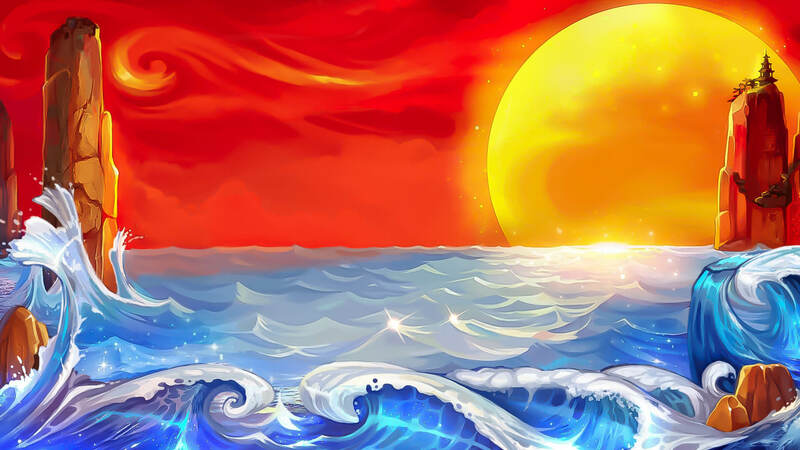 The game runs on several platforms: Apple iOS, Google Android or Microsoft Windows. This means that it is compatible with pc, tablet and mobile. If you're a fan of progressive jackpots with Asian themes, might we suggest that you visit one of our recommended casinos for a peek at this one.